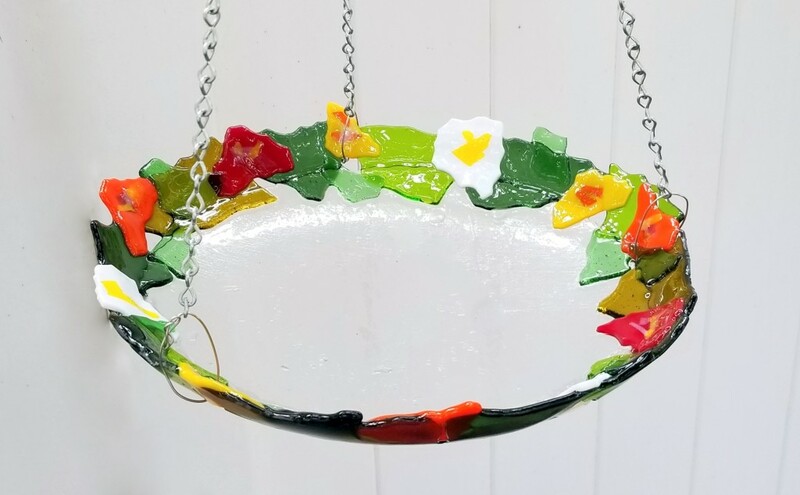 Make your feathery friends happy when you hang this birdbath in your garden. Begin with a clear, glass circle and create colorful shapes for the edge. Learn a trick so you don’t have to drill holes to use a chain for hanging. No experience needed. Supply fee $35 payable to instructor 1st day of class. 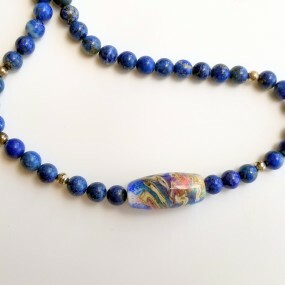 Play with fire and make your very own glass beads. 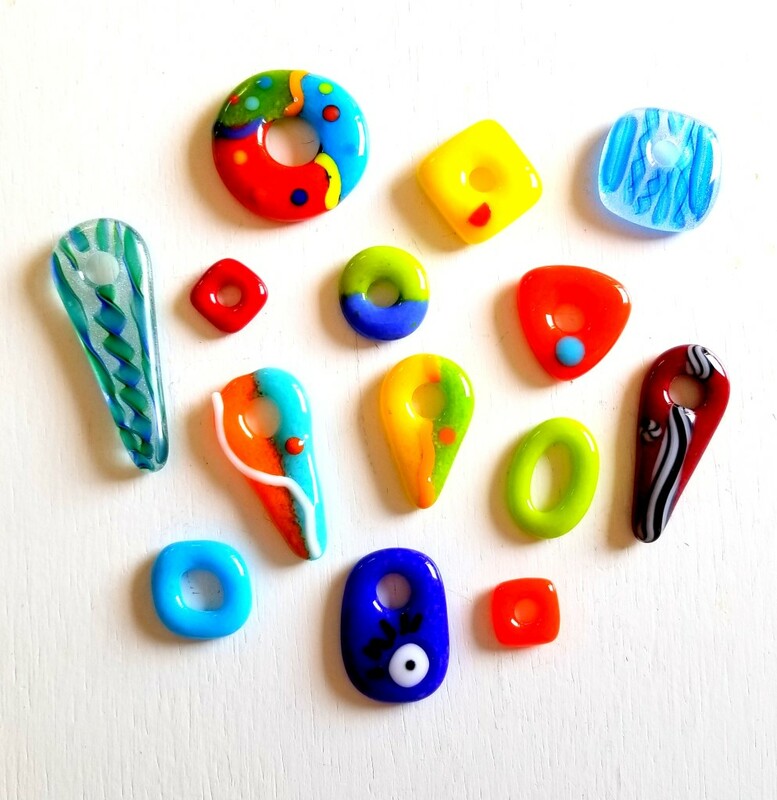 This course covers basic flame working skills using a torch to melt rods of glass into beads. Students will learn through lecture, demos and hands on experience. Topics include learning how to set up a work station and safety tips. Techniques covered include various designs using dots, pulling stringers and twisties, raking, basic shapes, millefiori and applying frits. Supply fee $35 payable to the instructor at 1st class. 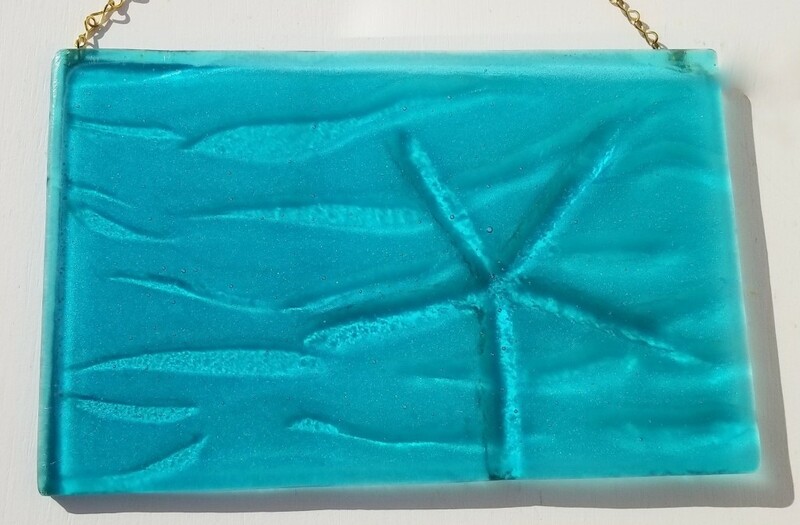 Make a glass tile for a wooden keepsake box. 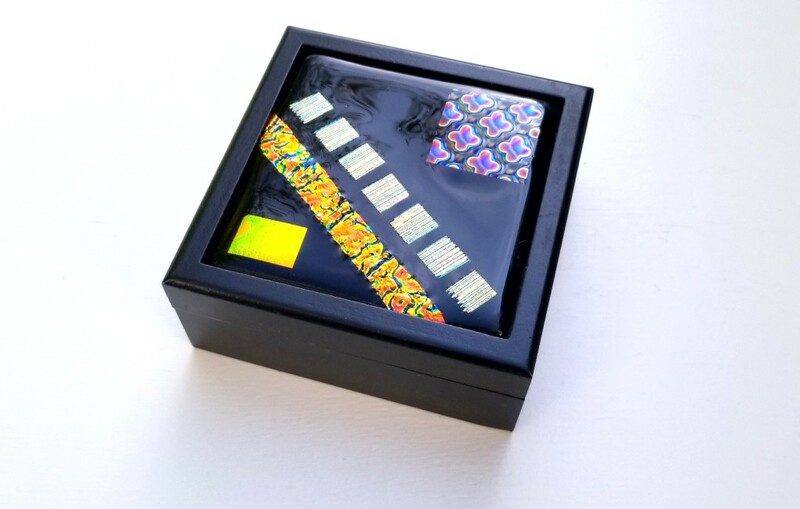 A perfect way for displaying your glass tile artwork elegantly. 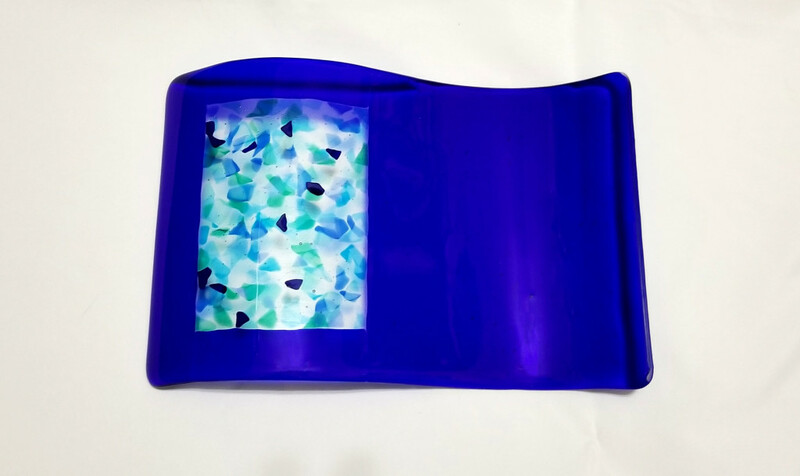 Decorate your tile with bits of glass, dichroic glass, stringers, frits, dots or glass confetti. You will learn basic glass cutting skills. Supply fee $25. 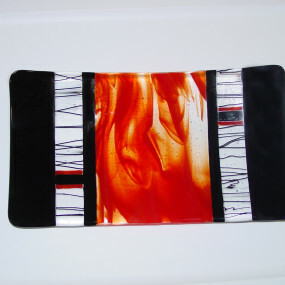 Need a gift or just want to create something functional in glass? 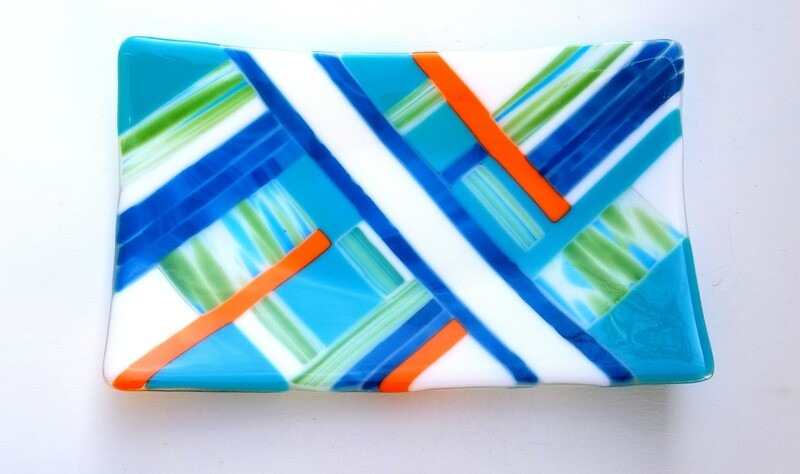 Create your own fused and slumped, one-of-a-kind plate in just three short hours. 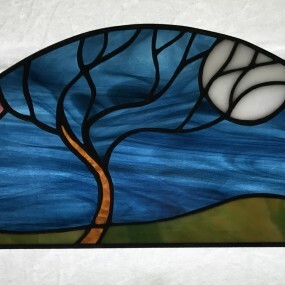 Basic glass cutting and fusing skills covered. Plates will be ready to pick up in a week. Great beginner class. Supply fee $30 payable to instructor 1st day of class. 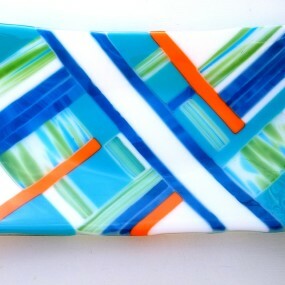 Need a gift or just want to create something functional in glass? 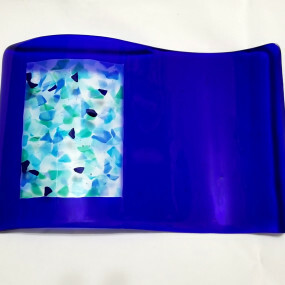 Create your own fused and slumped, one-of-a-kind plate in just three short hours. Basic glass cutting and fusing skills covered. Plates will be ready to pick up in a week. Great beginner class. Supply fee $30 payable to instructor 1st day of class. 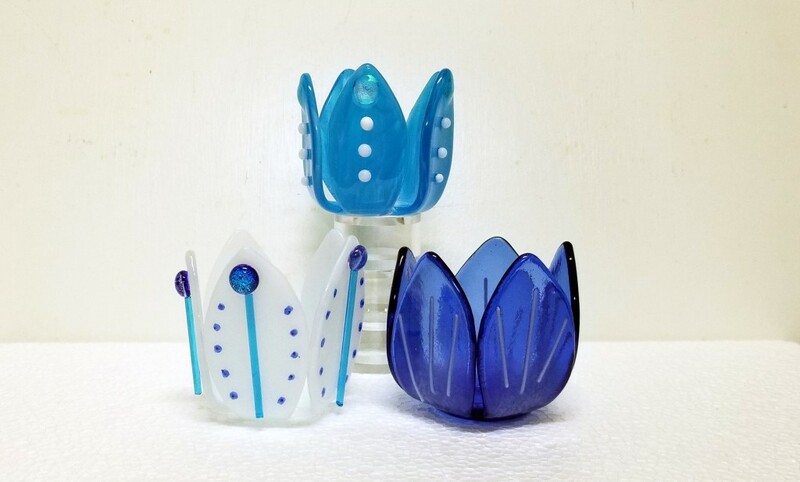 Create three tea light candle votives from fusible glass. 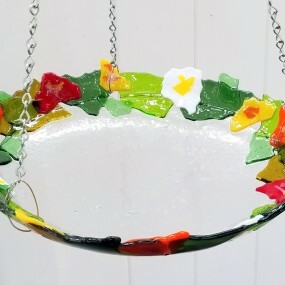 Decorate with bits of glass, frit, stringers, dichroic, and dots. You will be cutting out the petals using glass cutting tools. 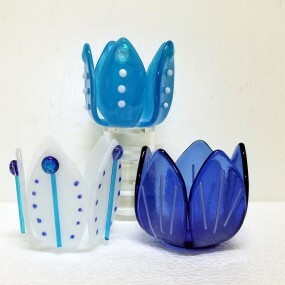 They will be fired twice – once to fuse the glass and then again to bend the glass into the blossoms. Supply fee $20. 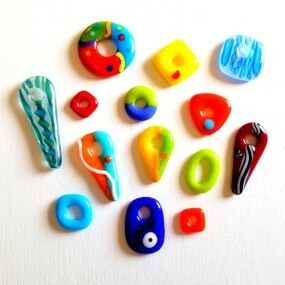 Expand and strengthen your glass bead making skills! Techniques covered include foils, encasing, decorative canes, color reactions, hollow beads and dichroic glass. This class is open to students who have completed Beginning Flame Working or have equivalent experience. Supply fee $40 payable to the instructor 1st day of class. 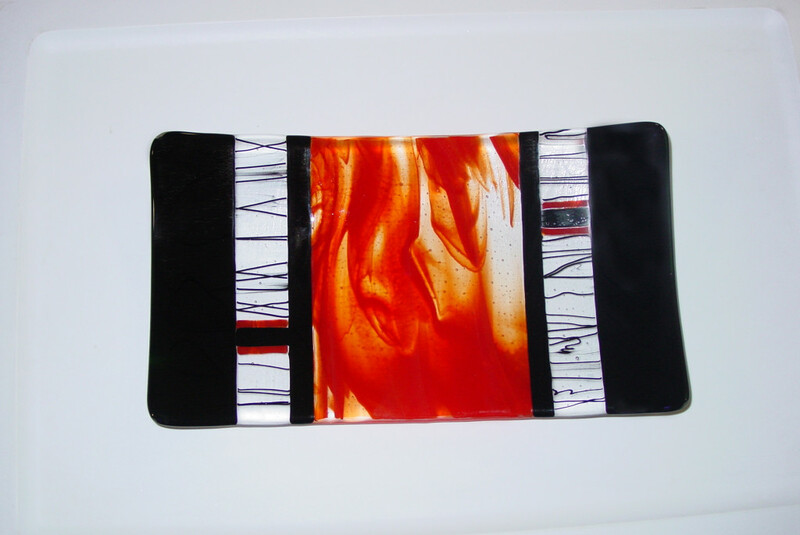 Here’s your chance to express yourself in a self portrait with fused glass. Covers basic cutting skills and provides various forms of glass to work with. FAces will be available for pickup in a week. $30 supply fee payable to instructor 1st day of class. 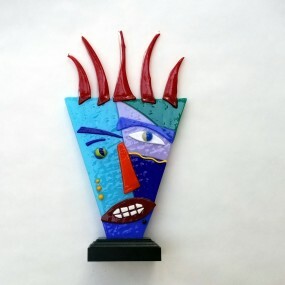 Explore the rich possibilities of working in bas-relief in kilnformed glass. Bas relief is found in the art and architecture of all cultures and has existed for thousands of years. A kind of carving or sculpture in which figures are raised or depressed from a flat background, it creates a subtle three-dimensional effect. Intricate surface relief, texture, color, and light interactions are possible in this shallow space. Supply Fee $25. 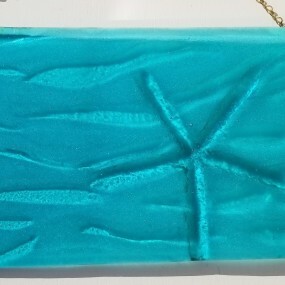 Beginners will learn how to cut glass, design patterns, Select and prepare glass, copper foiling, soldering and project finishing. Intermediates will learn design, working with difficult glass, using more advanced tools, came bending, U came frames. We cover common pitfalls, problems and mistakes, a variety of techniques/tools, design and building for longevity, and individual instruction and assistance on your project(s). Tools and materials for the student to buy will be discussed the first day of class. A $20 fee payable on first day of class for use of instructors’ tools and materials.